» Where: Central Library, 600 Soledad St., and the Southwest School of Art, 300 Augusta St. Although heavy rain is expected Saturday, the 7th annual San Antonio Book Festival is on schedule for the Central Library and the Southwest School of Art, with an expected attendance of 20,000 people. The festival is a free, all-day event that includes book sales, author panels and signings, and activities for the kids. Journalists, professors, first-time novelists and life-long fiction writers are among the 99 confirmed authors attending the festival. Lilly Gonzalez, the event’s executive director who took over from festival creator Katy Flato in January, said the event will go on “rain or shine,” with plans to move exhibits into unused spaces in the library and the neighboring Southwest School of Art, if the rain is severe. Gonzalez said changes have been made to this year’s festival, because its growth has limited how the Central Library and Southwest School of Art can be used. 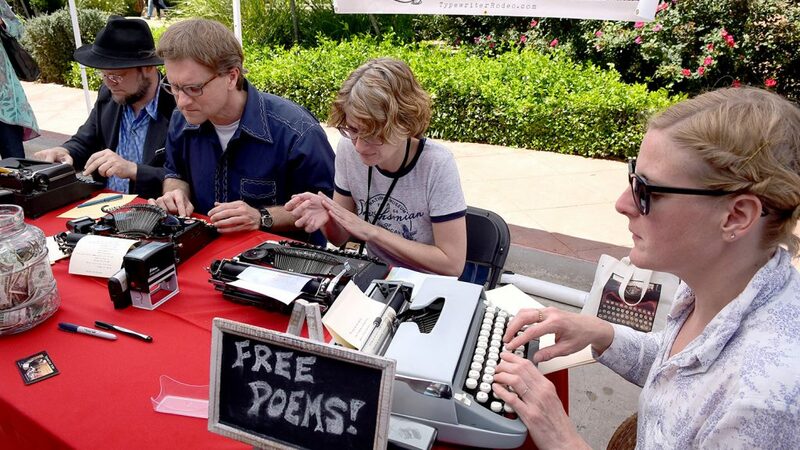 For example, after requests from past attendees, bookseller Barnes & Noble will have its tent doubled in size—but to accommodate the expansion, the Festival Marketplace, where self-published writers showcase their works, will be scaled down. This year, San Antonio-based organizations and authors were invited to use the space first, while other long-time out-of-city vendors and exhibitors acquired spaces on a first-come, first-serve basis. Still, Gonzalez says the Central Library will remain the location of the San Antonio Book Festival, so long as she’s around. Notable writers include Lawrence Wright, staff writer for the New Yorker (“God Save Texas: A Journey to the Soul of the Lone Star State”); Oscar Casares, director of the creative writing program at the University of Texas at Austin (“Where We Come From: A Novel”); Anna Merlan, reporter at the special projects desk with Gizmodo Media Group (“Republic of Lies”); and Tayari Jones, professor of creative writing at Emory University and New York Times best selling author (“An American Marriage). Local authors include Michael Cirlos, founder of the popular photojournalism project “Humans of San Antonio;” Bexar County Judge Nelson Wolff, (“The Changing Face of San Antonio: An Insider’s View of an Emerging International City”); and former Mayor Lila Cockrell (“Love Deeper Than a River: My Life in San Antonio”). Food trucks will be parked in the Geektown Area on Girard Street and alongside vendors in the Festival Marketplace, within the Southwest School of Art. They include Amore Pizza. Mi Taquito, Cheesy Jane’s, The Jerk Shack, Slider Provider, Uncle Danny’s Backyard BBQ, Saweet Cupcakes, Alamo City Concessions, Cori Jean Ice Cream Cart and Davila’s BBQ.